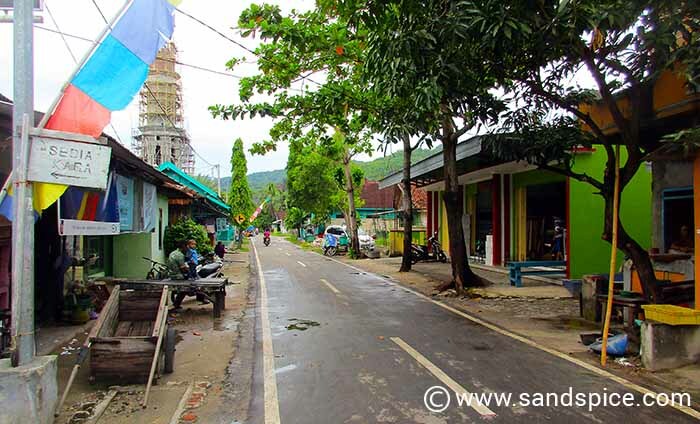 Although it’s quite a small place, it is possible to get temporarily lost in the similar-looking streets of Karimunjawa Town. 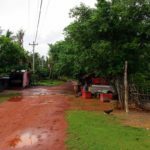 Most of the facilities you require are to be found, but are spread around the place and not always easy to locate. Top of your priority list is probably finding your accommodation. If you booked in advance, all well and good. They will probably even send someone to pick you up from the jetty. If you want to find a place when you arrive, you shouldn’t have much trouble: You’ll just need to trudge around for a while with your rucksack until you find somewhere suitable. The town square is the place you should visit early evening for the daily night market. 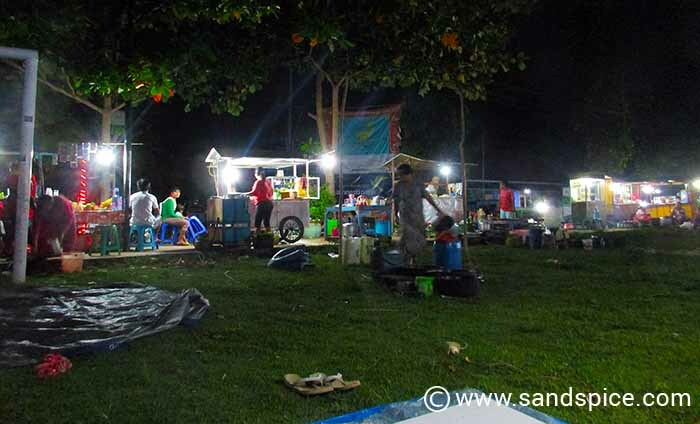 Located around the edges of a grass football field, this is usually a hive of activity with lots of stalls cooking up varieties of fresh and tasty food. We found we were returning there most evenings. In the daytime, this is still a good place to come and get your lunch. There are a couple of places that serve buffet-style food at reasonable prices. I daresay you could also get in a knock-around on the football pitch if the local school kids are out and about. 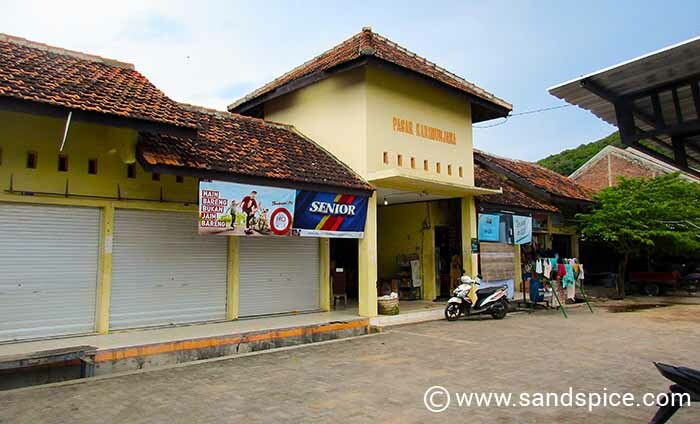 The mini-market is a good place to stop off for supplies on your way to or from your guesthouse. You’ll just need to get your timing right if you want to find it open. They don’t have much in the way of fruit and vegetables, and you won’t be able to buy any alcohol there. For fruit and veg you’ll need to visit Karimunjawa market. For an alcohol fix, go to one of the restaurants in town. 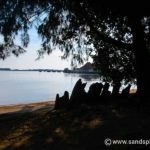 If you have a problem in Karimunjawa, go and see Jon. In fact, go and meet him even if you don’t have a problem. 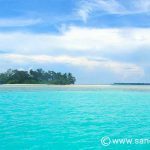 Apart from being a nice guy, Jon has a wealth of information about everything to do with Karimunjawa and the surrounding islands. 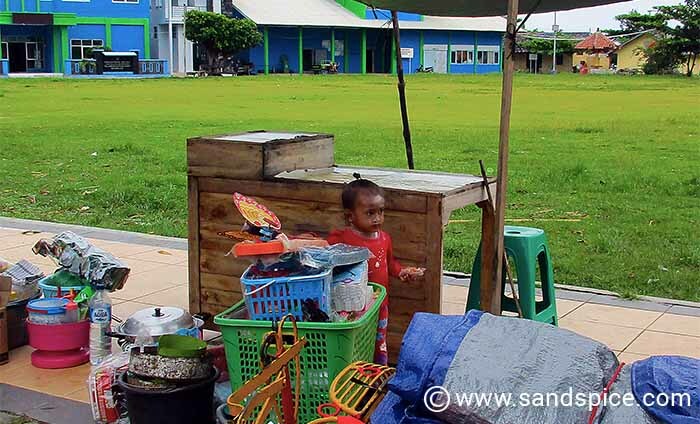 He runs a business called SeaSky, and is located on the corner of Jl Pelabuhan Baru and Jl Jend. Sudirman, not far from the harbour. He can arrange any trips you want to make, and arrange your transfers. 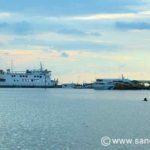 We hired our scooter from him (IDR 75,000 per day), hired snorkeling masks and fins (IDR 30,000 per day), and booked his full-day snorkeling trip to the western islands (IDR 200,000 per person). You can also contact him on Facebook. 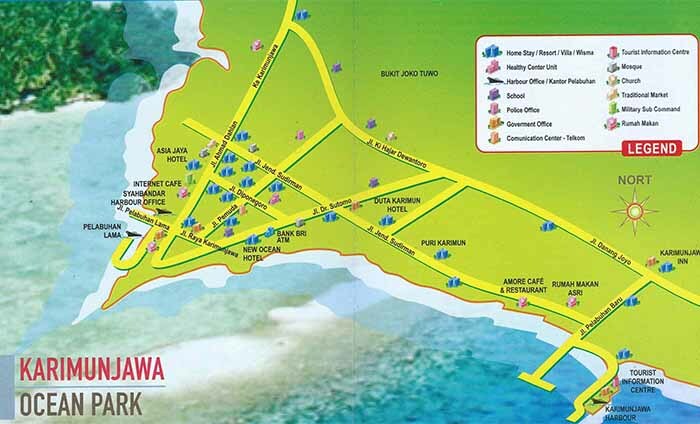 As a general precaution, you should try to take enough cash money to Karimunjawa to cover all your costs. There is just one bank and 2 ATM machines (one inside the bank). The bank isn’t always open, and is unlikely to give you cash if you present a credit card. Also the ATM machines are sometimes out of order or out of money, or they simply won’t accept your credit card. Very few (if any) hotels or guesthouses accept credit card payments. Even the up-market Breve Azurine 4-star resort claimed their credit card machine was broken when we stayed there. 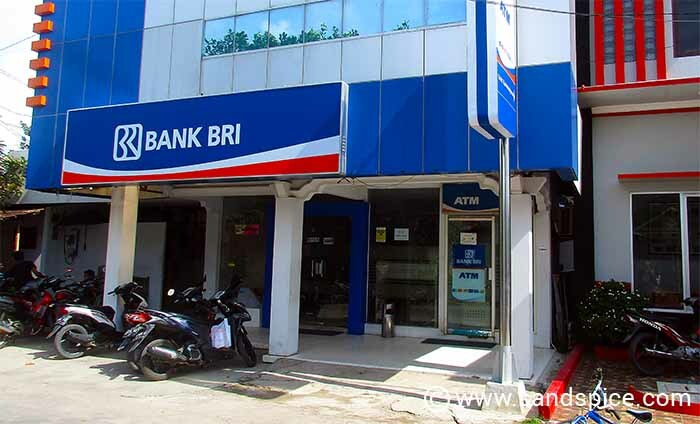 They would accept only cash, and I’m talking about millions of rupiah (and we only stayed there 2 nights). If you run out of cash and can’t use the ATMs, your last resort is to ask around for local money-changers. They’ll possibly exchange your foreign cash currency, but at an exorbitant exchange rate. Beggars can’t be choosers – you have been warned. 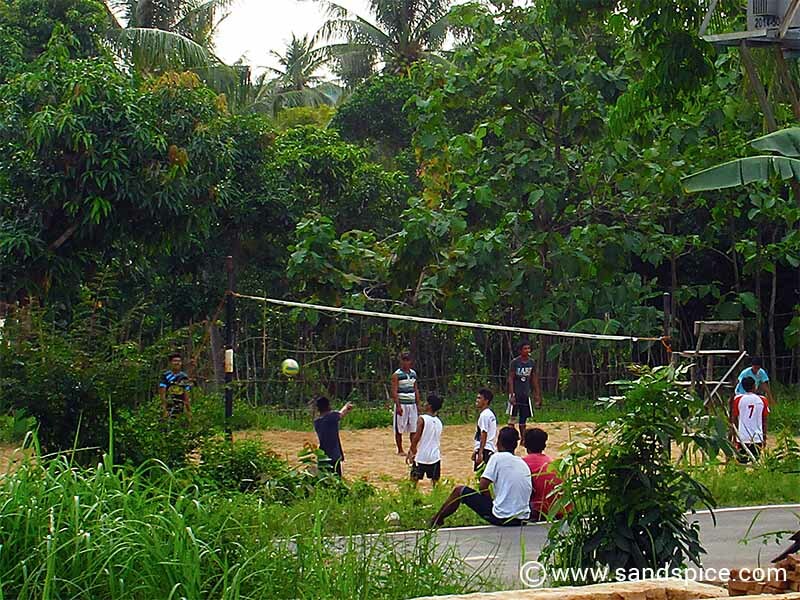 If you fancy a game of volleyball, you can join the locals for a game most afternoons. You’ll find the volleyball field up the hill and across the road from CocoHuts on Jl Danang Joyo. Visiting the traditional market is actually not as easy as it seems. First, you’ll have to find it (check out the map above). Then it will have to be open. We visited on 4 different occasions and found the fruit stall open only once. However, it was worth our persistence, since we discovered what quickly became one of our favourite tropical fruits – Salak (Snake Fruit). 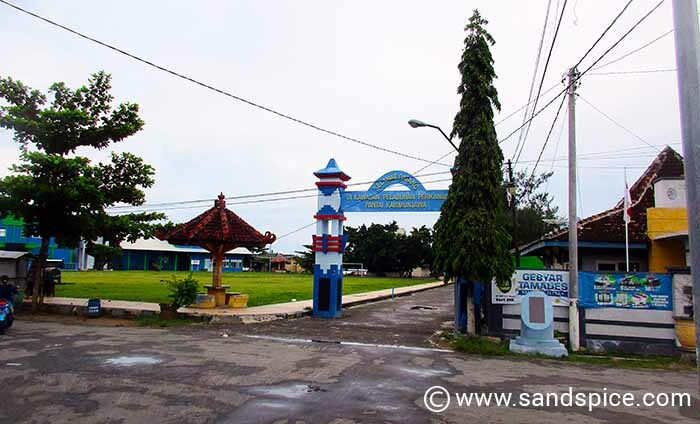 The mosques are a constant and essential aspect of everyday life in Karimunjawa. We counted three in Karimun town alone. The 5 daily Salah call to prayer times create a unique aural identity of where you are. 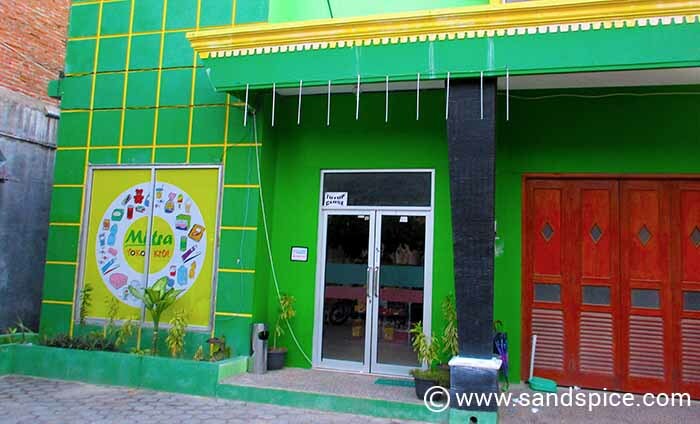 Although not great in number, there is a small variety of places to eat in Karimunjawa town. This is just as well since only 1 out of the 4 hotels/guesthouses where we stayed offered any food beyond breakfast. The best options that we found for eating in the evening were the Night Market, Meet ‘n Greet, and Amore’s. 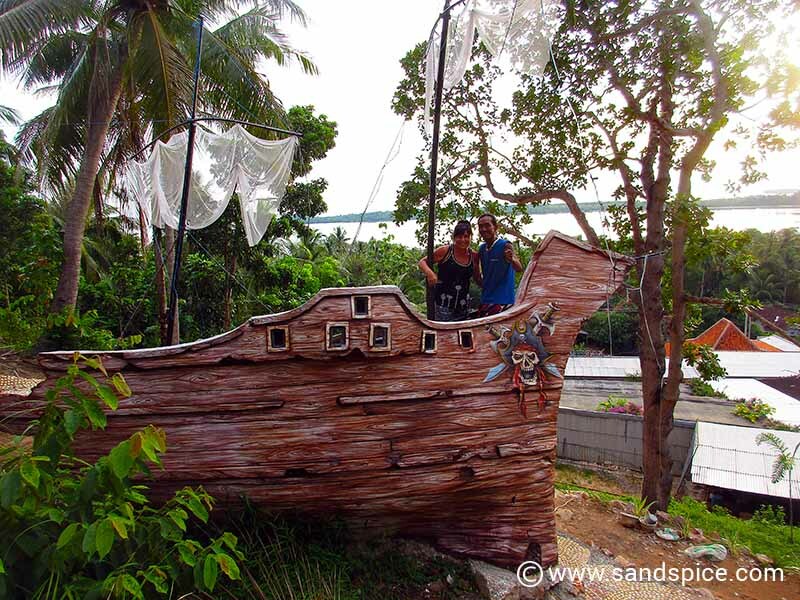 Karimun Park is worth a visit, if you have the time. It used to be a butterfly park, but is now in the process of evolving into a different type of attraction. We visited expecting a butterfly park, and indeed there is still a collection of dead butterflies in glass cases. Unfortunately, the live butterflies had problems with the climate. 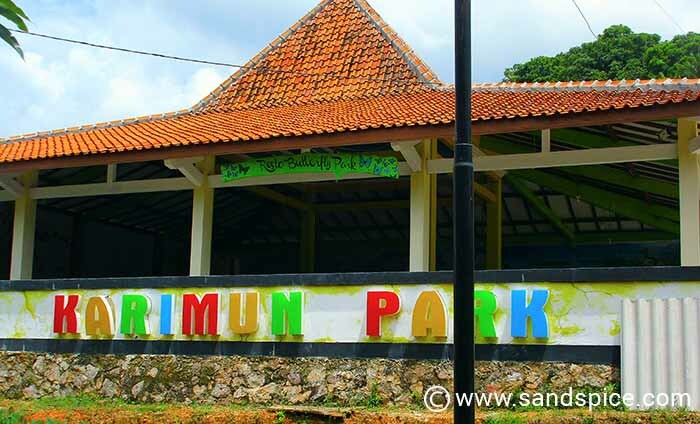 We met a pleasant and talented guy called Cicak (literally translated as ‘lizard’) who is currently in the process of converting Karimun Park into something with perhaps a broader appeal. These islands have a history of pirates, and this is the new theme of the park. 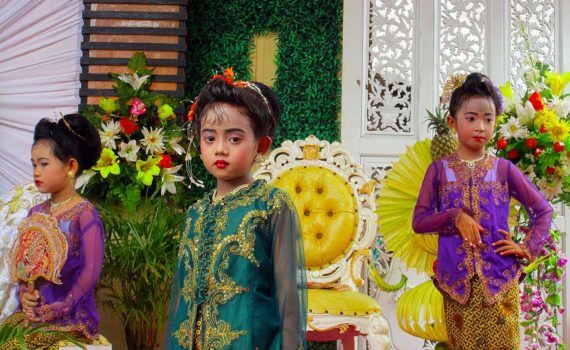 It should turn out to be a great attraction for the kids.